It is citrus season in Mesa, so ‘squeeze’ the day and enjoy fresh oranges, grapefruits, lemons, and limes right off the tree! Arizona has deep roots in the citrus industry when explorers brought the curious fruit with them to the “new world”. 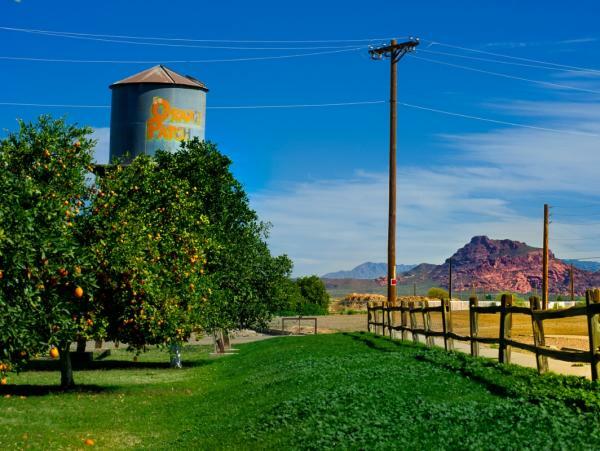 For Mesa, farmers began planting citrus crops in the late 1800s as Arizona’s climate was admired for its minimal frost, low humidity and of course – sunshine. You can still experience the joys of the harvest at the Orange Patch, one of Mesa’s original citrus growers. This stop on the Fresh Foodie Trail® is located just north of the city and offers 110 acres of citrus. Guests visiting can see the picking and production process and walk away from the experience with a bag of citrus knowing right where it came from. The store also boasts freshly-squeezed orange juice, local honey, dates and other culinary and gift items for sale. Mesa’s citrus industry is still very prevalent and in 2010, the community was recognized by National Geographic as offering one of the top food drives in the country – for its still-thriving citrus industry. Along McKellips Road, guests will stumble upon orchard after orchard, with many of the long-standing orchards now making up some of Mesa’s most notable residential communities. If you live on one side of the street, as in the case of Lemon Tree Terrace, you’ll have lemons in your yard; if you live on the other side, it’s grapefruit. Making a pit stop at the Orange Patch? We want to see your photos. Use the hashtags #VisitMesa and #FreshFoodieTrail to share with us!